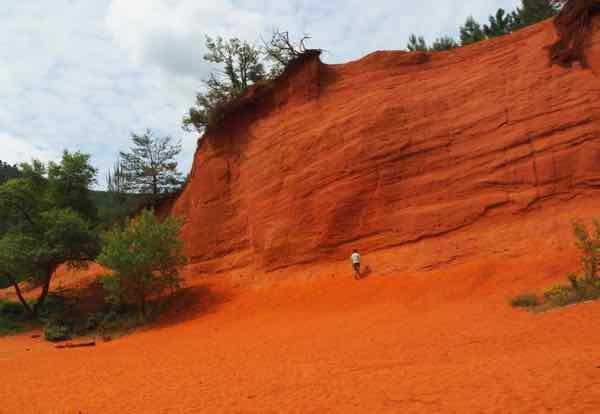 The village of Roussillon in the Luberon is most famous for its ochre and cliffs, the orange terrain that is everywhere. There is another area, however, just to the west that has some amazing ochre hills and cliffs. 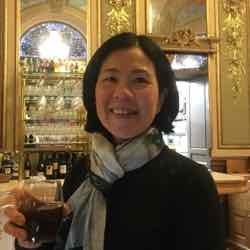 I actually prefer this site as I found it less crowded and more interesting. 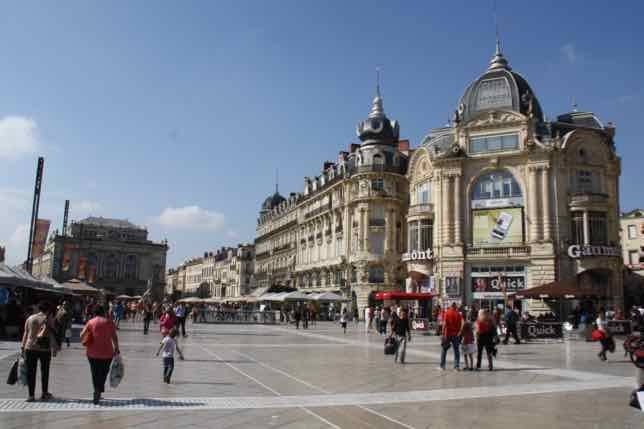 It is the Le Colorado Provencal. Don’t let the name deceive you. 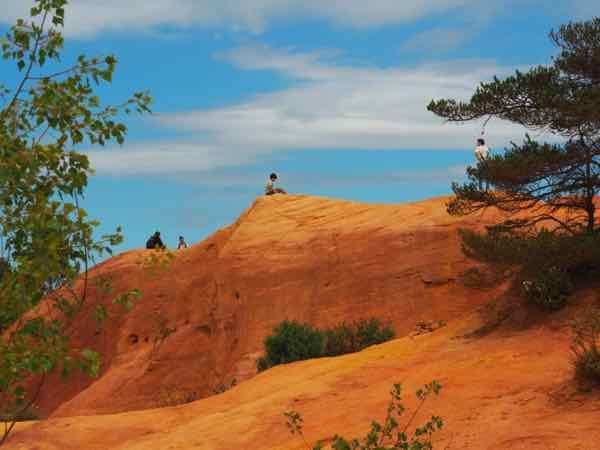 While you might think you’ll see cowboys, mountain ranges, and rivers like in Colorado, USA, there are some things that are similar and some things that are definitely unique to this “Colorado” in France and one of those activities is to hike Le Colorado Provencal. This is a place that photographers love. The colourful hills and easy-walking paths, which are partially shaded, make for an enjoyable morning or afternoon hike. Nothing is strenuous and that’s why I really liked this hike. Here’s what it’s like and why you should seriously go take a hike. Ochre is a natural earth pigment that ranges in colour from yellow to deep orange. It has this colour as it contains iron oxide. 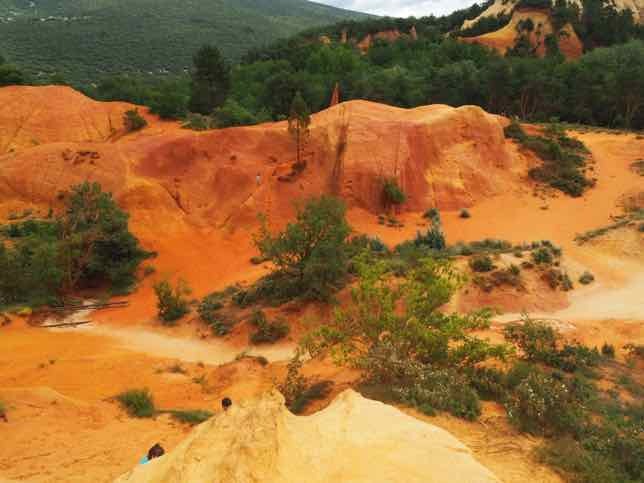 French scientist, Jean-Étienne Astier invented a process in the 1700s to develop ochre pigment in Roussillon. It was especially popular in paints and was exported extensively for many years. 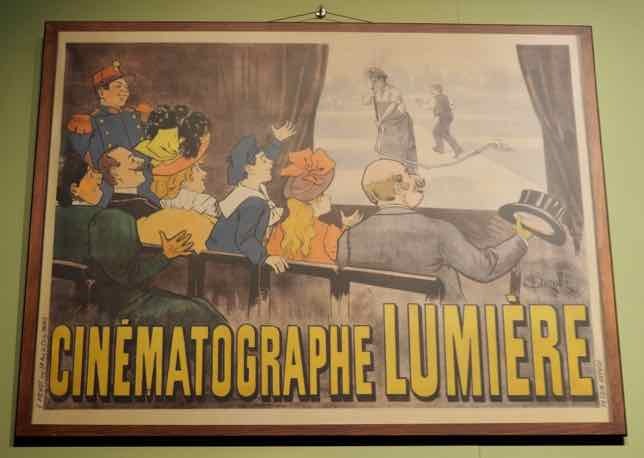 It continues to be used around the world as a colouring agent. 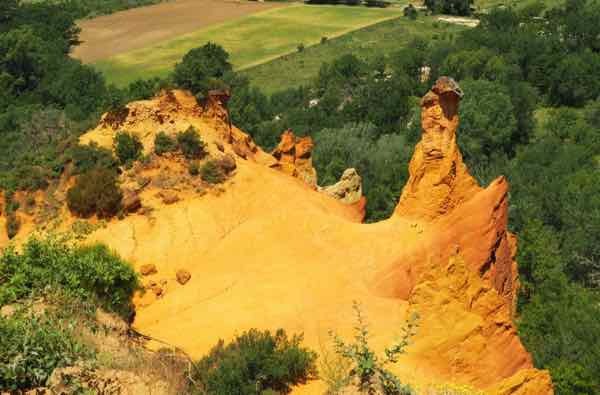 Le Colorado Provencal is made up of ochre quarries and you’ll see a variety of colours of ochre throughout. 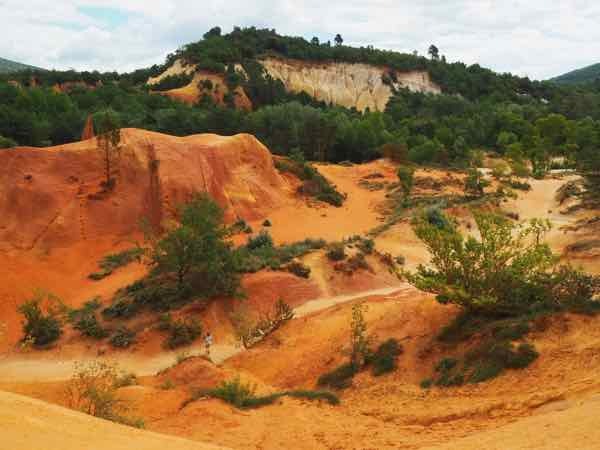 A “sentier des ocres” is a “trail through the ochres” and Le Colorado Provencal has two distinct trails to follow: Le Sahara and Les Belvédères. Both take circular routes that are easy to do and both give you some incredible views. Although there are trees in the area with dirt paths, the ground is primarily sand and ochre. 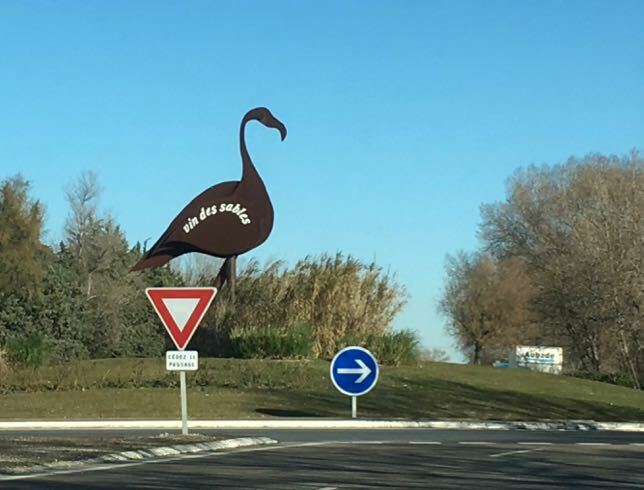 The Le Sahara path starts at the same point as the path for Les Belvédères and you will come upon a small take-out restaurant called “La Rinsoulette” and then an aqueduct that, in the old days, assisted in extracting the ochre from the sand. A group of school children were there on a field trip the day I visited and were particularly intrigued with the flow of water. 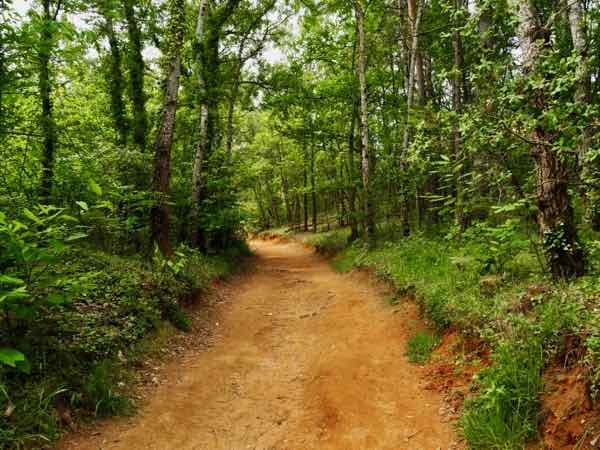 This path then continues through the forest and when you arrive at Le Sahara you are presented with a number of hills entirely covered with sand and ochre. One cannot resist climbing up. It isn’t difficult. You just have to be careful. After checking out the Le Sahara area one continues on the ochre trail, climbing a bit but not too steep a hike. You are eventually presented with scenic views of Les Chiminées des Fées (The Chimneys Of The Fairies) and the surrounding valley. 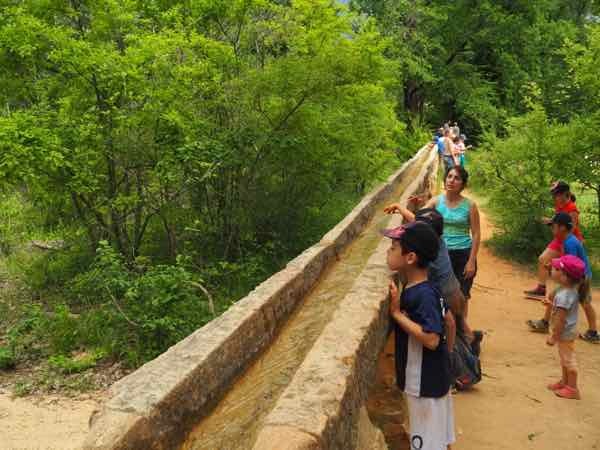 Even though there are barriers or railings when you hike Le Colorado Provencal, you will get warnings about a “Risque de Chute” which means there’s a risk of falling, so do be careful. The path continues with Le Desert Blanc and Couloubrier. I wore trail running shoes, but hiking boots or even just running shoes will be fine. The trail is primarily flat and smooth so you won’t be climbing rocks or maneuvering around boulders. It’s a relatively easy hike. It only gets more strenuous if you decide to climb one of the steep hills. Although there is a restaurant by the parking lot and a small take-out place at the beginning of the trail, you still need to bring water with you during the hike. Also wear a hat as it can get very hot, particularly in summer. When you return to your home or hotel, be sure to shake out all the ochre sand from your shoes and socks. I promise you you’ll get a lot. And it will take a few washings to get the orange out. When you want to hike Le Colorado Provencal, do a Google Maps search. It actually comes up as Le Colorado Provencal Rustrel. 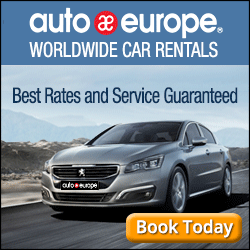 This is because Le Colorado is very close to the town of Rustrel and it is on the Route de Rustrel. There isn’t any “entrance fee”. The only cost is for parking (5 Euros) and there is a large shaded parking lot with picnic tables. Oh, those colors just jump right off the screen! What a beautiful hike and I can see why photographers love this area with the deep golden, orange hills, the emerald green plants and the brilliant blue sky. 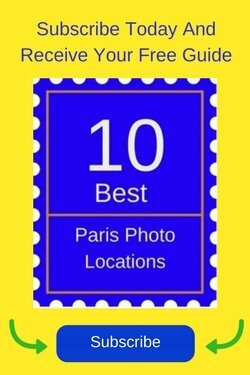 Your photos are spectacular. I’ve Pinterested this post because this is one hike I’d love to make! That’s great. You’ll love visiting the area. When my wife and I first visited the Colorado, we arrived just as another couple was leaving with their little bichon dog. But instead of being white, the dog was orange. “How odd,” my wife said, “who would dye their dog orange?” We decided it must be the latest Parisian fashion. Only after our hike, when we ourselves were orange from the knees down, did we realize the truth. Hilarious! A photo of the orange dog would be a riot!